Kamarpukur Ramakrishna Mission Multipurpose School under the aegis of Ramakrishna Math and Ramakrishna Mission, Kamarpukur with Headquarters at Belur Math, Howrah, West Bengal, is a Bengali medium high school recognized by the West Bengal Board of Secondary Education. Approximately 730 students from classes V to X, study here. This school is meant exclusively for boys. Out of 730 students 120 pupils stay in our hostel. 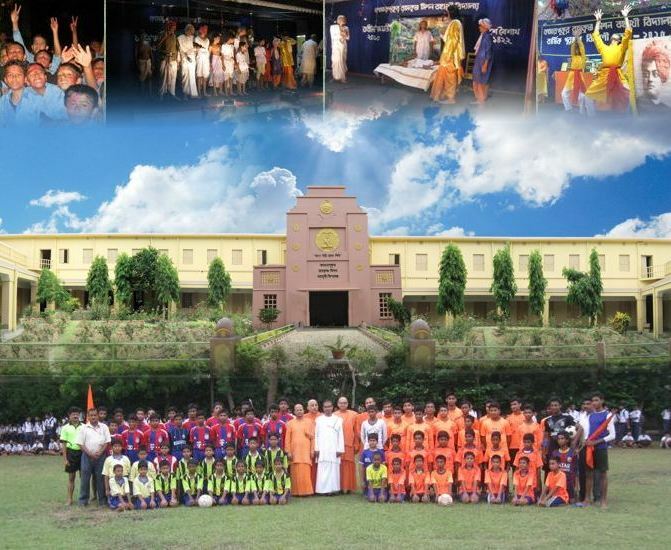 Our school stepped into its 50th year (1962-2011) at the backdrop of the 175th Birth Anniversary of Sri Ramakrishna. This auspicious occasion was tried to observe in a befitting manner. The inauguration of the Golden Jubilee Celebration was held on 26 January 2011 while the concluding function was arranged on 26 January 2012. The most delightful achievement in the recent years was, obtaining the 1st position in the Madhyamik Pariksha 2014 in all over West Bengal by one of our students, Sriman Arnab Mullick. While another student, Sriman Amartya Pal, stood 8th in the said exam.